As the days on the calender keep flipping over, I am trying to keep up with the Tangle Journal project. 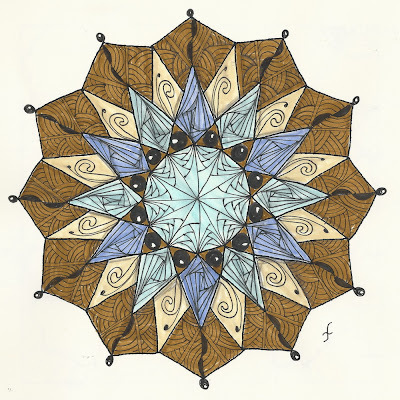 Today I finished week 4, and I enjoyed some wonderful "zen" time as I lost myself in this mandala. Hope you like it! Love it, Joni! The colors are wonderful! Love your choice of tangles and the colors... I'm still trying to figure out how you did the paradox- it looks neat! I can see you lost yourself in this one. 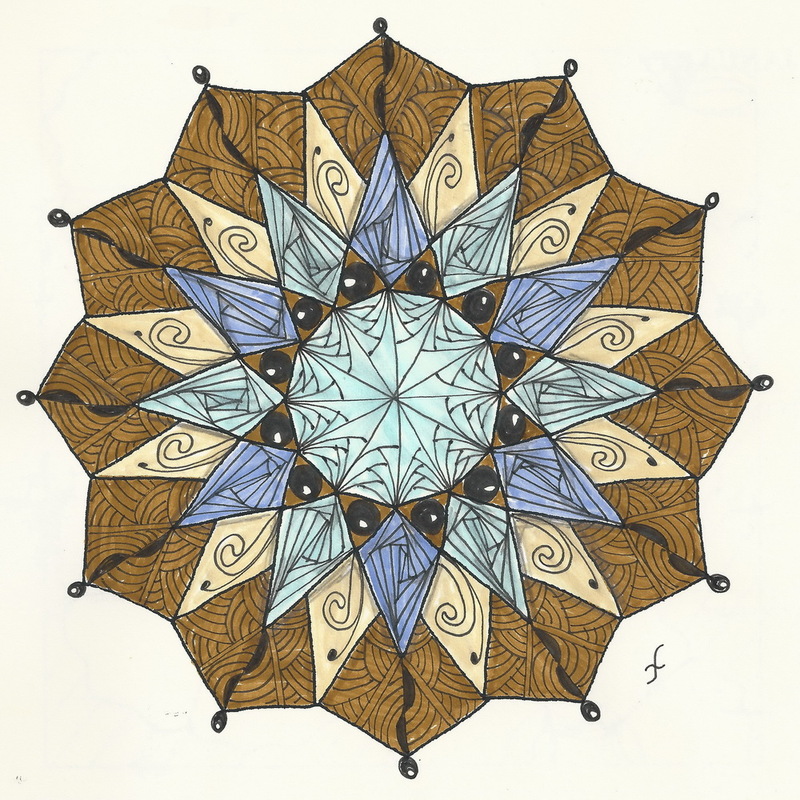 The tangles look great in this mandala, so do the colours!